I'm always thinking about what's in store for the future, and the same goes for Constraction. Bionicle has a projected run through 2017, and whether or not it makes it past that, I'll always be wondering what will come next. So basically, what sorts of themes would you like to see come out of Constraction? Reboots? New ideas? Personally, I do love Hero Factory, but I have my doubts that it'll return. There's one thing I've heard tossed around among the community in the past, and that's the return of Exo Force. I would love to see Exo Force come back as a Constraction line, giving us CCBS mechs piloted by minifigs. I also really want to see system parts integrated into CCBS, so it'd be cool if that could happen. Like, give us brick-built playsets that included CCBS mechs. A bit of everything! So, what are your ideas? This. So, so much this. Maybe with a few transforming mechs as well? Frankly, I'd like to see Constraction show up in Dimensions somehow. I would also like some truly "fantasy" line, without sci-fi in the mix (I don't count Chima because of the vehicles and Speedorz). Alternatively, a Roboriders-type story in a version of Cyberspace. Ha ha ha ha no. As I had mentioned in the past I wouldn't mind if we got a reboot of hero factory. It had a very good premise that I loved, just the actual story line itself was not that good. Also the sets were good for their time, but compared to constraction figures of today they only hold up okay. It'd be nice if they started to introduce more members of the alpha team and rotated their cast frequently. Now I would also like to see some sort of mech style thing happen with constraction. The sets could look cool and the mocs would more than likely be unbelievable. Overall constraction is my favorite series from LEGO so I'll be excited and support whatever comes out in the future for the line. Some of the past in-house constraction themes like Slizer and Hero Factory may have been reasonably popular, but I don't know if any besides Bionicle were phenomenal enough to really justify a reboot. I could easily imagine constraction "spin-offs" of popular in-house IPs like Ninjago and Nexo Knights, as well as giving licensed Super Heroes constraction sets another shot. I'd love to see constraction sets of a girl-oriented line like Elves, possibly with some more "fashion doll" design cues, but I'm not sure how feasible that'd be or how you'd pull it off. It's hard for me to gauge the doll market — it seemed to be experiencing a boost around when Monster High debuted, but last I've heard it's kind of stagnated a bit since then. And seamlessly integrating that kind of dress-up play with conventional LEGO building play might be difficult. Overall I'm not sure how realistic it is to see a whole lot of growth in the constraction category in general, even though I know the future of the CCBS is definitely something the LEGO Group is looking intently at as they move forward. The constraction category's sales have been largely decreasing for over a decade, and while secondary lines like the new Star Wars figures might help justify its continued existence, I don't know if they'll be enough to reverse the category's decline in the long run. 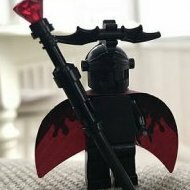 I'm also wondering whether at some point the LEGO Group might see more value in exploring action figure type models constructed from System elements, instead of keeping a separate parallel building system around strictly for the purpose of action figure building. There are a lot more parts suited to that purpose now than there used to be. Buildable figures like Groot and the Sentinel from LEGO Super Heroes and Sparkks and Burnzie from LEGO Nexo Knights somewhat illustrate the possibilities of this, and I expect to see further evolutions of this concept in the future. A line based around non-humanoid builds like Slizers or one based around mech like IfB would be really fun. Especially if they had non-traditional colors and elemental powers. I like the idea of Minifigure scale mech builds that come with both a minifigure and a CCBS style mech. Seeing how much minifigure collecting is driving the Lego market right now would be a good thing for CCBS, especially if the mech's were piloted by cool figures. I also hope more Sytstem and Technic compatibility is showcased with future CCBS sets. We have seen a few official sets using all three systems together (Hulkbuster comes to mind at least with System and CCBS in the same set); but I think it would be good for Lego to showcase how well all their building methods combine. Another cool idea for a theme would be something insect/alien or at least organic based. It might be time for constraction to ditch the robot focus and try and do something new and drastically different. Slizers-RoboRiders-Bionicle-Hero Factory-Bionicle G2 are all very cyborg/robot based themes and it is high time for a change in style. Personally, I'm all for some sort of CCBS non-humanoid-based line, maybe some sort of alien society. Essentially, what you'd get if you removed the humans and humans with cosmetic surgery from the star wars universe. Either that, or something built in a similar manner to Mixels, but with larger builds as well. Perhaps with some sort of ball on top of a plate piece to allow for the figures to connect to playsets. If Lego ditches full constraction lines entirely, I may just ditch Lego entirely. While I like the figures of their system lines, there aren't constant waves of them, which makes them less desirable in my opinion. I'm for Slizers 2.0, baby! I think my biggest "dislike" of Hero Factory, looking back, was humanoid characters. If we're going sci-fi, I want full sci-fi. Slizers were awesome because they weren't human. Same with the Toa, in a way. But ultimately I wouldn't mind a Hero Factory reboot either. I'd like to see a line of Metroid figures. Samus and Mother Brain would change nicely into CCBS. I would enjoy something similar to the knights line. I would love to see some medieval CCBS parts. Whatever comes next, I hope it's not a cut-price Bionicle. Hero Factory had its moments, but it seemed shackled by the shadow of its illustrious predecessor. Something rather offbeat, perhaps Manga/Anime-inspired, would be lovely. Reboot Robo-Riders as Lego's answer to Transformers? I can see the transformations and action features utilizing heavy technic. I am unsure if Exo-Force can work since Ninjago handles the Mech side of things. I heard the popularity of Monster High shows girls would enjoy a series with overt scifi-fantasy themes. so perhaps a girl's constraction line could be like Sailor Moon or something. how well did Bionicle's playsets from 2005-2007 do? because the got rid of them in 2008 but I enjoyed the concept of giving my favorite figures actual buildings and environments to fight in. maybe a future constraction theme could have a system sub-theme that can allow for two levels of play: one-on-one with the figures and I dunno roleplay with the minifig scale settings. and on somewhat of a tangent do you think Bionicle would work well as a system line? all those exotic locales can make excellent playsets. also do those Technic Figures count? because I enjoyed making vehicles for those and I can totally see a new buildable version that is compatible with CCBS ball joints and the minifig scale clip joints. also maybe a UCS type theme that uses the galidor style rachet joints for stability allowing for bigger and more detailed figures. Just no more rehashes please, something new and original. However I'm totally all for a return of DC and Marvel figures. There's even more possibilities with those two themes than there is with Star Wars, and I think Lego has gotten a better grip on things and could deliver better figure than what we previously saw. I think it might be neat if they did a constraction-based line of buildable insects. I'm all for a constraction/technic praying mantis! Winter: one small insect set and one small crustacean, plus one medium-sized insect and a large crustacean, or vice-versa. Winter: one small insect or crustacean, plus one medium-sized insect or crustacean (the one that wasn't the large set in the winter) plus a large extinct arthropod or panarthropod. So, for example, we could get a $10 fly, a $15 copepod, a $20 butterfly and a $30 mantis shrimp in the winter and a $10 tick, a $20 wasp and a $30 Anomalacaris in the summer. It could also be nice to see a scifi line where the arbitrarily earth animal-like protagonists are based on arthropods. Buildable insects reminded me: Remember the brick-built Dino line from back in the day? How about Constraction Dinos? That would be sweet. If there's a theme that utilizes CCBS and Technic in the way the 2016 Bionicle and Star Wars Buildable Figures did, along with some neat uses of the CCBS system (like modernized versions of the uses we saw in the Savage Planet and Breakout Waves of Hero Factory), I'll be greatly satisfied. I want to see something that will take the good from every constraction theme this far, and add onto it. Yeah. And people have been clamoring for feather add-on pieces for a while, so that would be a nice opportunity to introduce them. Expanding it to all animals, not just arthropods and dinosaurs would force them to start making more organic-looking sets. That would be nice to see. Scale, hair and feather add-ons would be a given, anms would more natural colors, browns, earthy colors, and other colors we don't have much of yet. Last night I actually had a dream about Bionicle ending and Lego announcing a new construction theme. The first wave only had two sets: A female centaur and a large turquoise crab-like creature. Each set had a new piece that made a randomized sound every time you pressed a button on it. I'd buy that. Especially the turquoise crab.